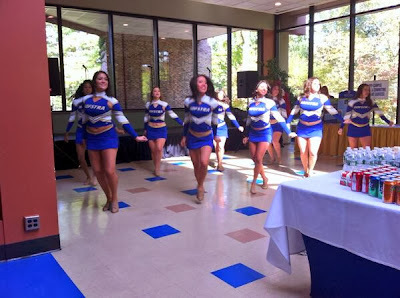 Hofstra Pride Guides: Fall Open House! 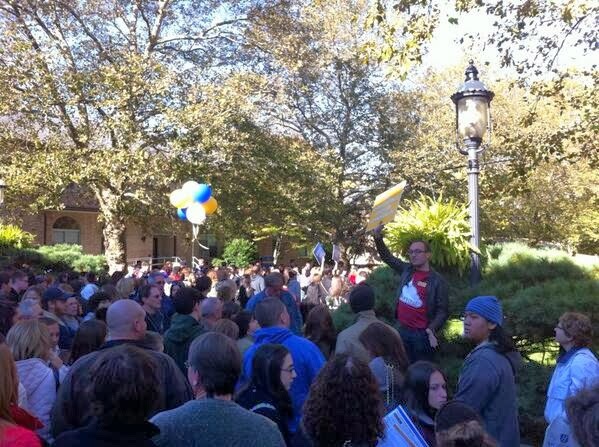 Hofstra's first Fall Open House was a huge success! 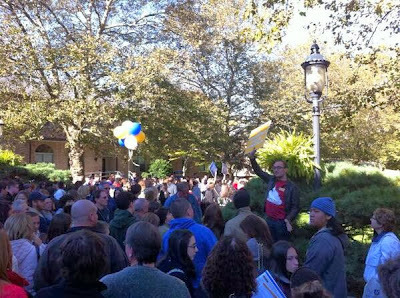 Prospective students and their families really experienced Hofstra had to offer and learned a lot about us! To start off the day, students and their families were welcomed by the Hofstra Pep Band, to really get them excited for everything they were going to experience with Hofstra that day! After checking in, everyone got to walk the red carpet and get their picture taken with our mascots, Kate and Willie! Everybody had a lot of fun with this and one lucky person who tweeted or instagrammed their photo with #fallathofstra will win a Hofstra hoodie!From there, the opening seminar with President Rabinowitz left a smile on everyone's faces by finishing his welcoming speech with "Our swag is second to none!" After their formal welcoming to Hofstra, students and families all split up into different seminars about their intended majors or what they would be interested in studying here at Hofstra! The communications department had their seminar as a live TV show to really set Hofstra Communications apart from everyone else! Awesome, right? From the seminars, our visitors went back to the Student Center where they could either go on tours of the academic or residential sides of campus, or they could stay and enjoy the Student Services Fair! The fair included booths from all aspects of Hofstra, like Admission, Dining Services, different clubs, Athletics, Studying Abroad, etc. Also during the fair, everyone was able to enjoy all the free refreshments (with the best cookies)and watch some of our clubs perform like the Hofstra Dance and Cheer Teams, The Dutchmen, Melody Hall, and more! 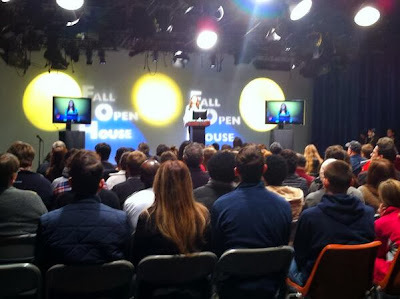 Overall, everyone who attended the Fall Open House learned a lot and had a great time doing it! We are looking forward to the next one! Here are just a couple pictures from the Open House!